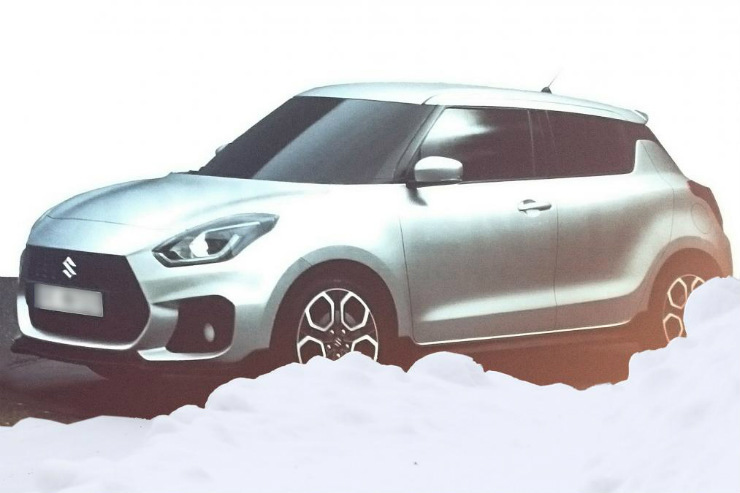 The next-generation Maruti Suzuki Swift has been revealed at a dealer conference in Europe, and the car is more evolution than revolution. The 3rd generation Swift will make its debut in India sometime next year. 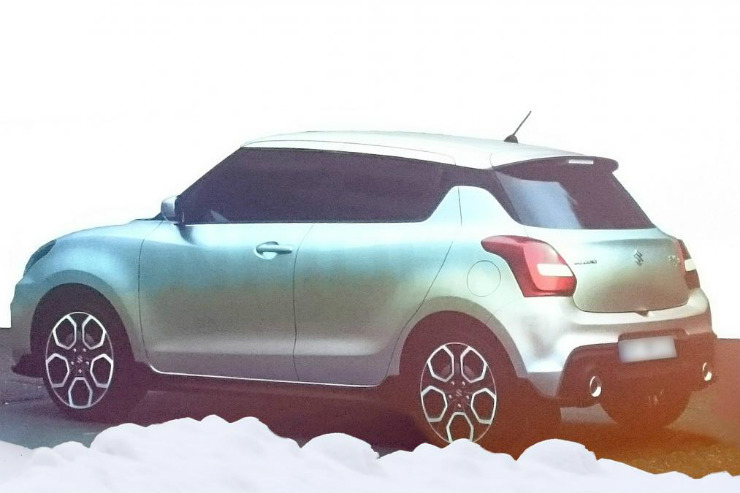 The new Swift will be based on the Baleno’s platform, and from the looks of it, seems inspired by the former’s styling as well. Both petrol and turbo diesel engine options will be offered, while manual, AMT and CVT gearboxes are likely to be a part of the transmission mix. The car’s expected to be slightly more roomier but with overall size remaining similar as Maruti Suzuki now has the Baleno that sits above the Swift. Suzuki Hybrid Vehicle System (SHVS) technology is expected to be offered on the diesel variants in order to boost mileage and cut down on tail pipe emissions. 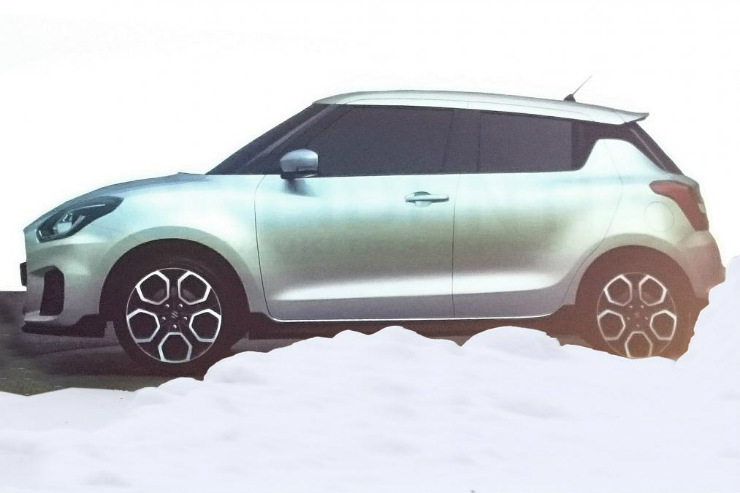 The 1 liter BoosterJet turbo petrol engine and a brand new turbo diesel motor developed in-house by Suzuki could power the new Swift. 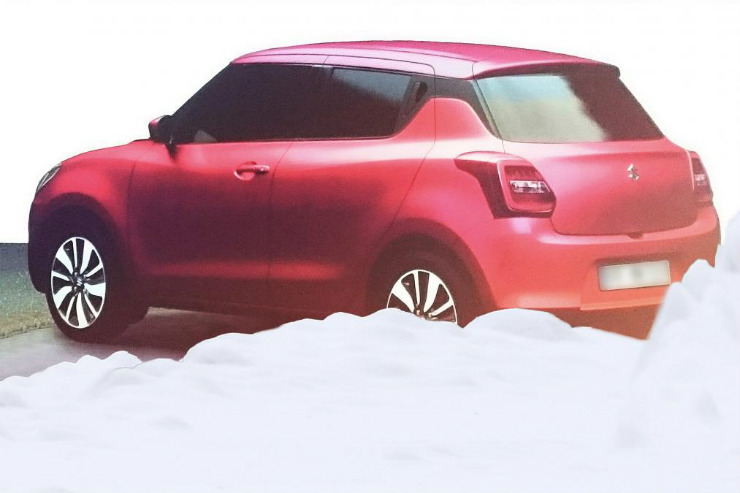 From the leaked images, it’s easy to make out that the Swift has a more aggressive front end, while the overall silhouette remains true to the previous generations of the car. One interesting styling cue is that the rear door’s handle moves to the C-Pillar, a-la-Chevrolet Beat. The floating roof design is retained even as the alloy wheel design has been tweaked. At the rear, the tail lamps seem to derive inspiration from those of the Baleno. 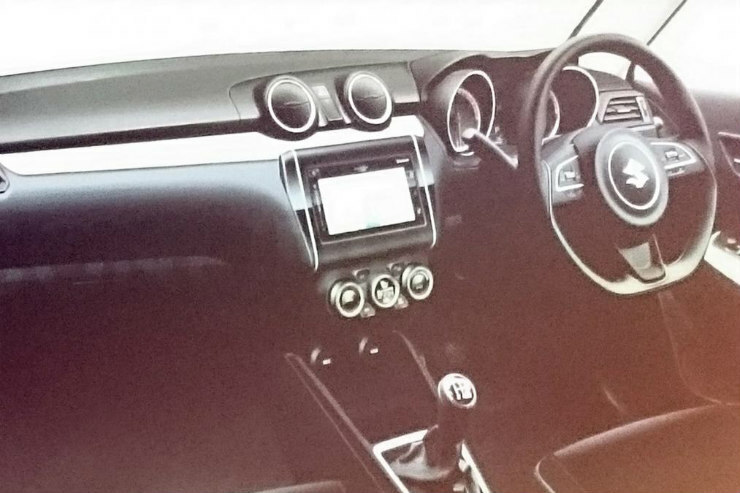 On the inside, the dashboard gets a complete redesign, while the steering wheel gets a flat bottom. 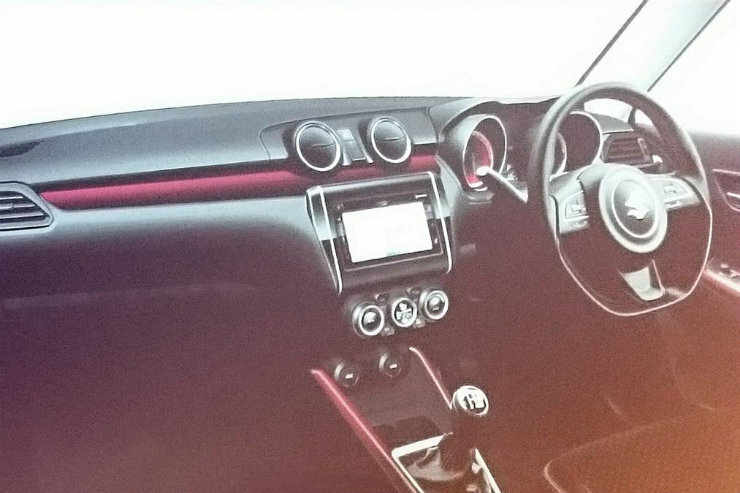 The instrument cluster is also new. The new Swift is expected to use high tensile steel, making it much lighter than it has ever been. Considering that the new Baleno is lighter than the current Swift, the next-generation car is expected to shed quite some weight. This change should result in significant performance and fuel efficiency gains. In terms of positioning, the 3rd generation Swift will sit below the Baleno, and a similar price tag as that of the outgoing version is likely. Maruti will heavily localize the Swift, just like it has done with the previous 2 generations of the hatchback. A new Dzire compact sedan will also be spun out, as is the case currently.